Can we make injection molding process more controllable by electronics? Home » Basics » Can we make injection molding process more controllable by electronics? It is bit unfortunate that the injection molding machines have made so many advances whilst the mold- where all the action happens remains in 17th century- apart from using CNC technology that makes it more accurate reproduction of CAD file. Cooling is by and large after thought, where can I put some cooling lines? Radiator in a car is not an option, car will not run without one and why our molds have an afterthought for radiator? How many tool specifications define no. of shots to tool stabilization? Uniformity of temperature over entire part (just take a simple thermal image of any part after injection molding and see how bad the variation is). Parts vary in quality and have warpage not so much because melt is having some variation in couple of degrees C, when tool has hot spots and delta T in excess of 60 Deg. C.
There are sensors available that will measure melt surface and melt mid-plane temperature (they need different wavelength pass filters) inside cavity, but that level of sophistication is useful, if ever needed, when you have made tools to high standard, where you specified cooling geometry conformal to part surface and paid for it. Then you will have start-up in matter of minutes, repeatable parts and very stable production with minimal residual stress. That is where new frontier of molding side is, bring tooling to 21st century. I think the message has to be that how much of published research is being deployed in practice by plastics engineers? Everyone involved has to ask one question-how fast the same product is being molded by best company in the world and how far are we from the best and how we get there? Researching patents and topics in specific areas provides wealth of know-how including competition activity (through their patent disclosures). as of patent, there are thousands of patents in plastics, tooling process systems etc. and we just added one to that list...a tooling for conformal cooling having rapid heat cycle property. It is obvious the patents belong to people who invent them or companies who employ such people. As well as benchmarking current best practices the other critical components are "How much will it cost to engage the latest technologies to achieve that benchmark?" and "Do the benefits support the cost of implementation of these technologies?" Of course with injection molding being a market for which there are a number of machine manufacturers seeking sales, the competitive edge and potential market size may justify the investment in R&D or commercial development if the technology could be introduced to a range of machinery. But if the technology was aimed at a specific market (i.e. machinery greater than 5,000 tone clamp pressure) then this may be a deal breaker. The next stage would be to convince the customers that the benefits to their business in adopting this new technology justifies the investment, as they would also need to look at their targeted market base. But getting back to the original question, electronic processes can remove the variability of a process if that process was controlled by human interaction because computer systems aren't needing to check their Facebook status or wonder about what to do at the weekend, or feel the effects of a late night at work. However, even though electronic advances are increasing significantly at a rapid rate, can the human element recognize or differentiate such differences. For example, if we are looking at process variability improvements, going from 5 sigma (99.977%) to 6 sigma (99.999966%) may not even be detectable if the measured output is cycle time or part weight. So would you invest a further $50,000 to go to the next model that offered 6 sigma over the model that only offered 5 sigma if all you were concerned about was improving cycle time and part weight variation? Then again, if you were micro molding and the parts themselves weight 0.001 grams, and millions of these components were produced annually and used in a super critical component, then the cost benefits may be justified. 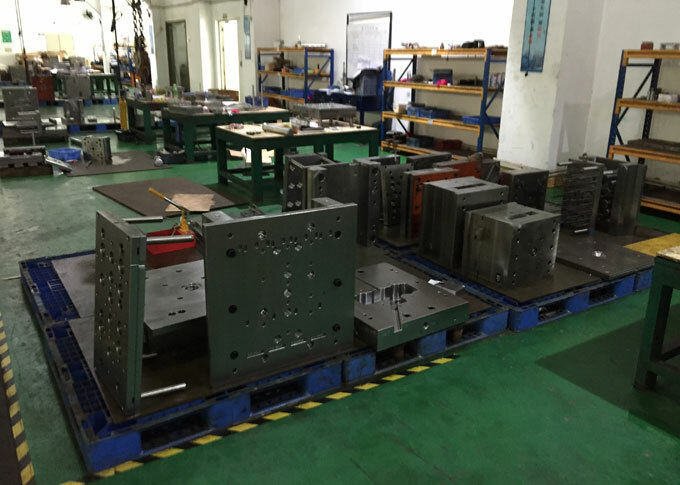 The other problem may be that even though all these improvements may have been achieved at the injection molding machine, all that good could quickly come undone if the other processes downstream were not being controlled as diligently. We often talk about Lean Manufacturing, but what is the value of attaining a 10% productivity efficiency if the systems in the administration area were so poorly managed that invoices were sent out in an ad hoc fashion and thereby affecting the cash flow of the business? What if the warehouse was so poorly managed that stock was being damaged because it wasn't being stored correctly? What if the injection molding machines were kept running well beyond the customer's requirements because someone didn't want to leave the machines idle (and therefore inventory was being built up unnecessarily)? In summary, electronics can offer some significant benefits to a business, but from a Lean Six Sigma perspective, the efficiencies need to be examined throughout the entire organization - especially where human interaction is still the dominant methodology in achieving the outcomes for the company.